"We developed a great reputation for our popcorn product right from the start and have continued to maintain our reputation because of the quality control we have over our product." Searching our address on a GPS could throw you in the wrong direction. BUT if you use Google or Apple Maps and search "Gaylen's Homegrown Popcorn,' you will be directed to our exact location. Check out the Slide Show below!! 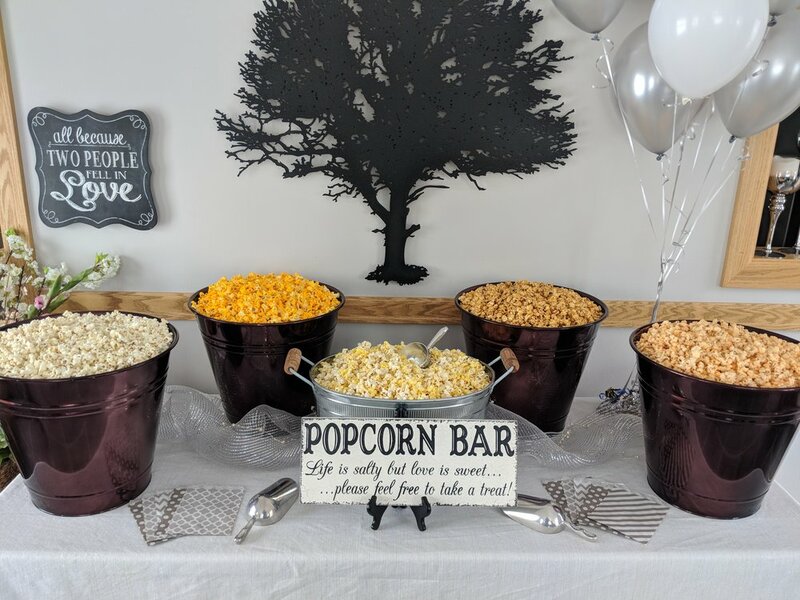 Popcorn is the perfect snack for weddings, graduation, parties, or other gatherings. With 20+ flavors to choose from, you can find the perfect match for your special occasion. Feel free to stop in to try samples and acquire information. Or give us a call to order and acquire additional information at (605)483-3324. Jumbo Bags and Buckets are on an order and pickup basis. We do not have these options readily available for walk ins. All of our flavors can be ordered in bulk options. Shipping options are also available, call (605)483-3324 for more information. Click here to view our current list of flavors! 5 gallon buckets must be returned or bought. Price shown does not include bucket cost. We figure 2 cups of popcorn per person. This is only our estimate, and could vary depending on your event..
A farmer since 1973, Gaylen Backus has been growing popcorn since 1996. After two years of raising popcorn for another company, he went independent with his own personal enterprise. Gaylen said, "We developed a great reputation for our popcorn product right from the start and have continued to maintain our reputation because of the quality control we have over our product." The popcorn is grown right on the Backus farm so that it is cared for by Gaylen from planting time until harvest. The popcorn is then harvested and dried to the correct moisture in one of the storage bins. From the storage bins, the popcorn is then run through four different types of cleaning equipment. All of this is done on the family farm south of Wentworth, South Dakota, USA. Due to the expansion of the popcorn enterprise into popcorn treats, Gaylen decided to separate the farming from the processing and customer sales. In 2015 Gaylen’s Homegrown Popcorn LLC was established. 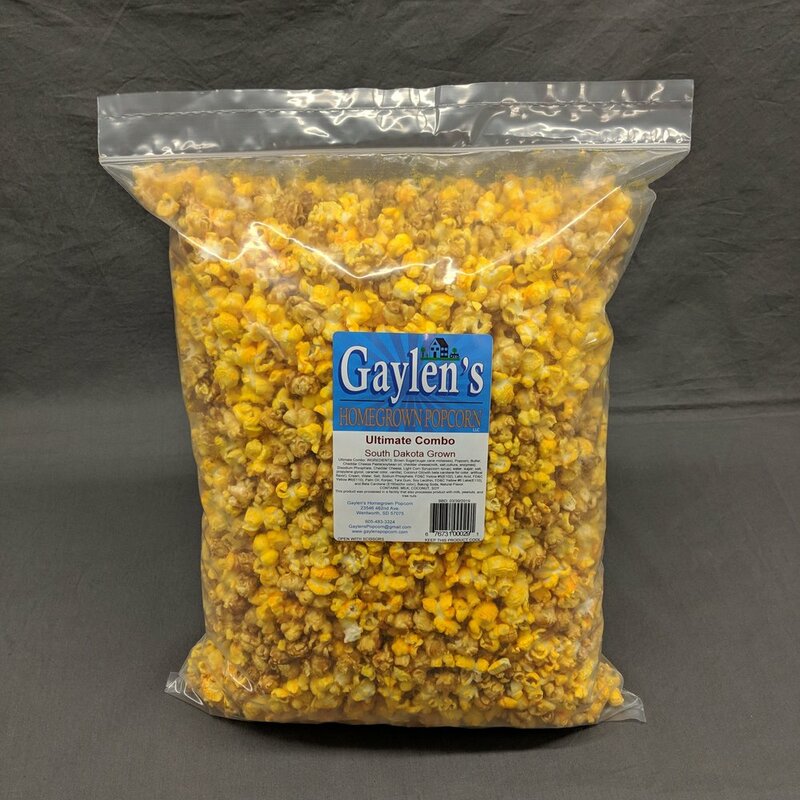 Gaylen’s Homegrown Popcorn LLC purchase’s the popcorn from the farm and with its staff creates the many wonderful popcorn flavors that you can now enjoy! © 2016 Gaylen's Homegrown Popcorn. All rights reserved.